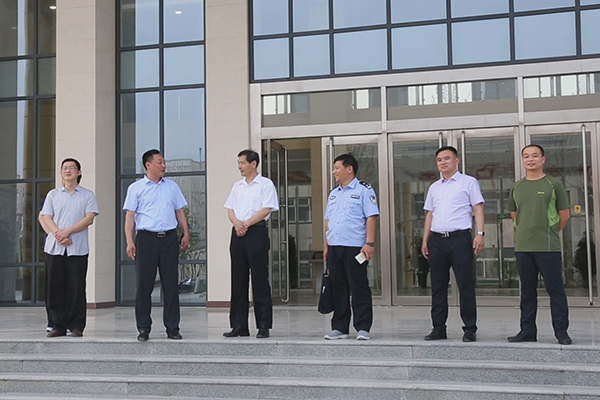 On the afternoon of June 2,2017, leadership of Jining City Procuratorate, City Court, High-tech Zone Public Security Bureau visited China Transport Group, thanked our Group for actively cooperating with the "6.02" crime project, while carried out legal education publicity to the various departments of our Group. China Transport Group Chairman and General Manager Qu Qing, Executive Vice President Han Yong, Li Zhenbo and other leaders accompanied reception. Under lead of Manager Qu, Manager Han the leaders visited the China Transport E-commerce Companies, Cross-border E-commerce Companies, Network Information Company, Software Technology Company, Weixin Agricultural Science and Technology Company, Kate Robot Intelligent Company. During the visiting, Manager Li made a detailed report on the development of China Transport Group's industrial transformation, optimization and upgrading in recent years, and key introduced the positive exploration and development prospects of our Group's e-commerce, cross-border electronics Business, enterprise information construction, intelligent terminal manufacturing, new industries and other fields. Through visiting, the leaders gave a high praised to our Group's outstanding achievements on Group successfully transformed from the traditional manufacturing enterprise to the modernized information technology enterprise, gave a high recognized to the Group relying on "Internet +",Big data, cloud computing and other new information technology that made enterprise well developing in all directions, multi-industry, multi-field applications. A number of leaders said that very grateful to the China Transport Group's actively cooperation with our work for a long time, repeatedly sent translators to help the public security organs cracked more cases, to make a prominent contribution to the creation of peace Jining, harmonious Jining! During the visit, the leaders also emphasized the importance of corporate legal education, and put forward rationalization proposals on how to better strengthen the legal education propaganda for Our Group. 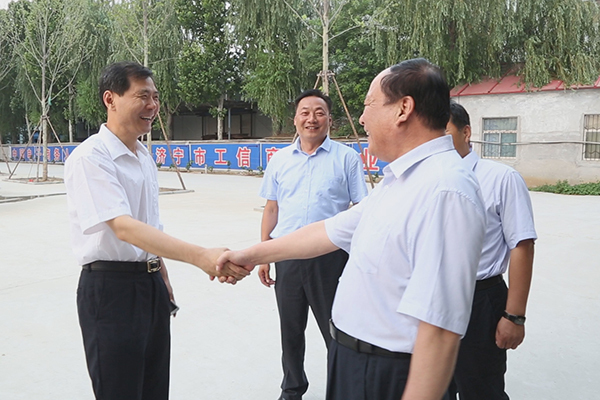 Manager Qu said, thank leaders of the City Procuratorate, City Court, Hi-tech Zone Public Security Bureau for visiting China Transport Group for guidance, it is the highly valued on the development of China Transport Group. As an honorary chairman unit of Jining City Translation Association, China Transport Group has an overseas marketing translation team covering professionals in English, French, German, Portuguese, Russian, Korean, Japanese, and Arabic, and is pleased to be able to solve the public security organs to provide professional translation services, which is reflection of China Transport Group actively fulfill its social responsibility. In the future, we will strengthen the corporate legal education, to ensure that education become normalization, long-term, and in publicity. Make a positive contribution to the city for creating a standardized and orderly, harmonious and stable legal environment!